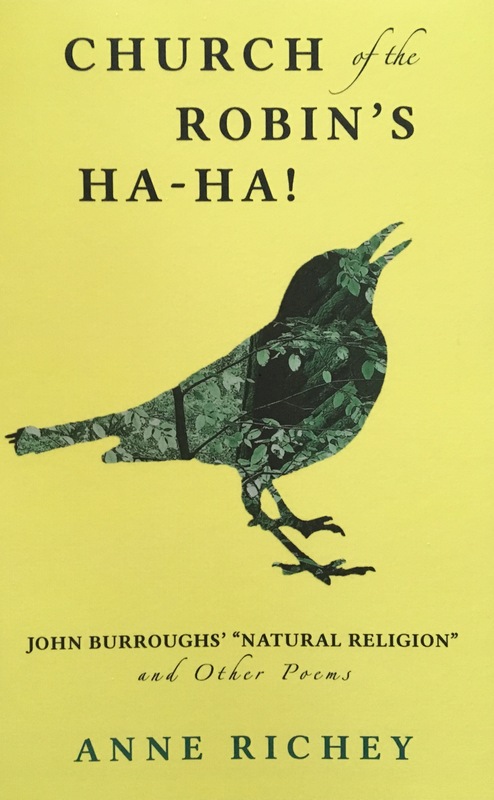 Anne Richey, both student and teacher of the works of John Burroughs, the writer and naturalist (1837-1921) from Roxbury, New York, has published an homage to his works in the form of a collection of poetry and prose. John Burroughs had what Anne Richey describes as an “essentially religious connection to nature. For the famed naturalist and writer, ‘heaven on earth’ was no mere cliche, but a reality”. His parents were religious and this confounded him. Richey writes: “His parents’ Calvinist preoccupation with the heaven to come seemed to him tragically misguided and counter-productive”. In Burroughs’ time, 150 years ago, the Catskills were mostly deforested by loggers and tanners, so he had to watch his majestic boyhood home dwindle to rolling hills. The trees have now grown back, but for how long will this stalwart chunk of craggy green in the middle of New York state survive? It’s a matter that hangs heavily in the air here in the Catskills, this mountainous region in Upstate New York, a lush, verdant environment protected only by virtue of being part of the New York City watershed. The Catskills State Park, about 700,000 acres and the surrounding area – its multitude of tributaries and it’s ecosystem – produces all of the city’s pristine drinking water. Gas pipelines snake through the state, on the flat lands either side of the Catskills, which have been protected from the ravages of the oil industry by their elevation and their status as water bearer: the ancient Aquarius in a modern Industrial Age. Find out where to find your copy here. Anne will be reading her work and discussing it at two events, here in the Catskills: on June 23rd, 2018 at the Catskill Center Book Fair on Route 28 in Mount Tremper and on Saturday July 7th at 5pm at the Woodstock Library Forum. This entry was posted in The Arts and tagged Anne Richey, Catskill Mountains, Catskills, Catskills Poetry, Upstate New York on June 12, 2018 by JNUrbanski.